Extend the Wi-Fi signal in your home wherever you are. 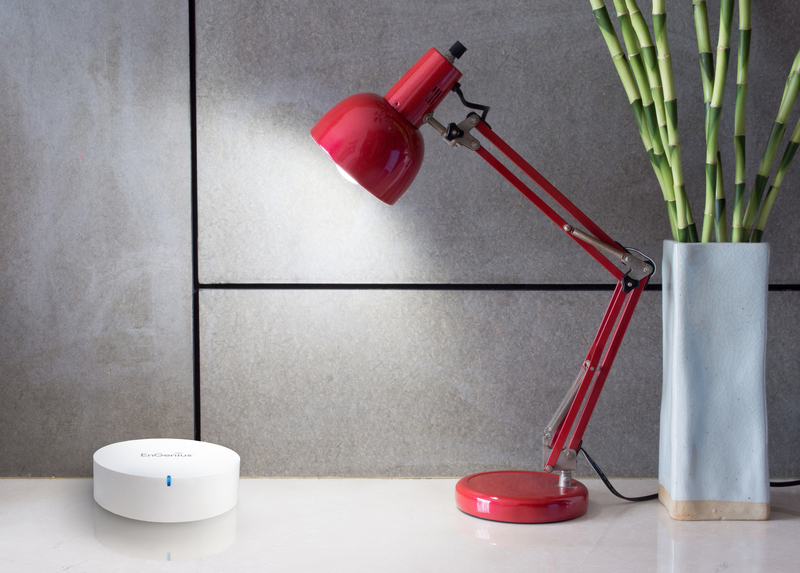 Set up your mesh router easily and simply with Smart Link. Like electricity, Internet access is fast becoming a basic home utility. Like electricity you want your WiFi to be accessible and reliable in all areas of your home. The single router solution limits your WiFi range while the router to repeater option limits your access speed. The Solution? A whole home WiFi system. A mesh network spreads out each connection, ensuring Wi-Fi beyond the reach of a single router’s signal. 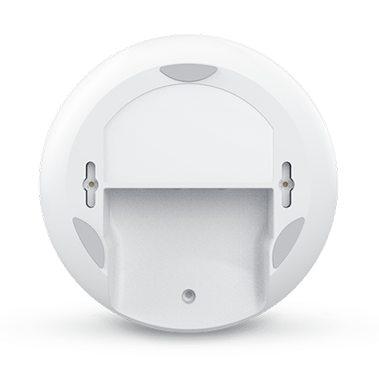 Each mesh router pod on the network will also intelligently “talk” to its neighbouring pods, which also then “talk” to their neighbouring pods. Each pod notifies the others that they are available to receive network data. 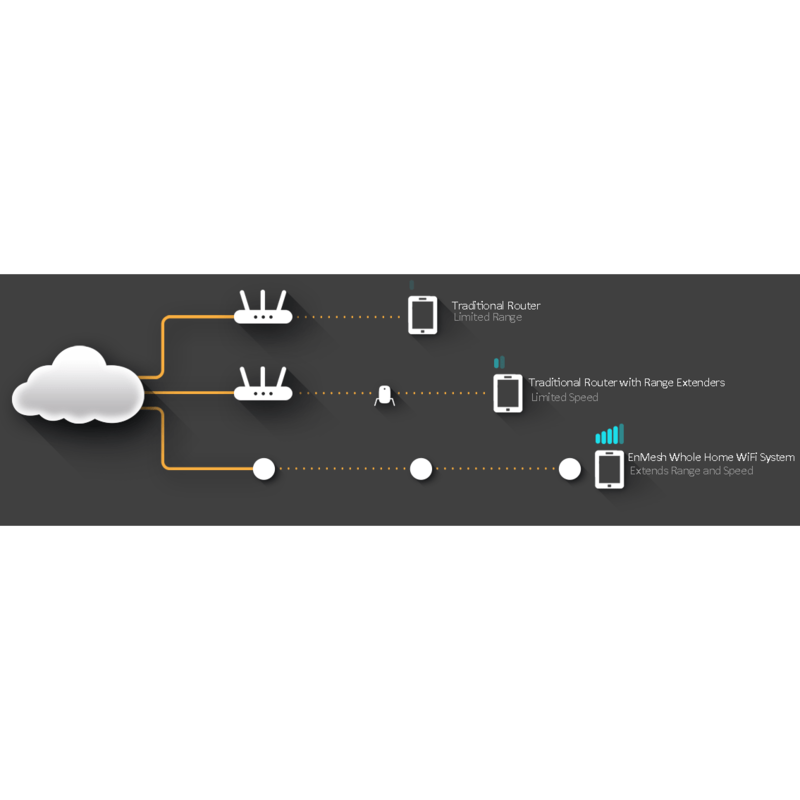 These smart-sensors are always scanning to detect the best connection quality and fastest path. The advanced mesh algorithm identifies and immediately fixes network slowdowns, re-routing data in the event a pod’s data “traffic lanes” are congested or the pod gets unplugged. EnMesh is designed to blanket your home or small office in wall-to-wall Wi-Fi, no matter what its size. 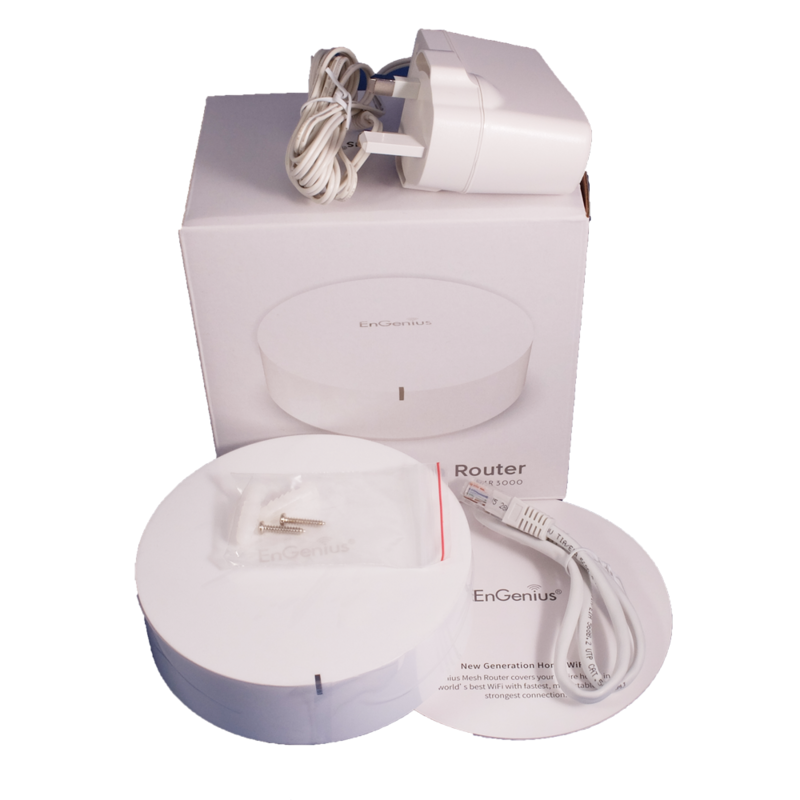 A single EnMesh router pod provides ample coverage for a typical 1,500 square foot home. One 3 units covers approximately 4,500 square feet. Have a bigger space? We’ve got you covered. Simply add individual mesh router pods in larger homes or areas that require more coverage. 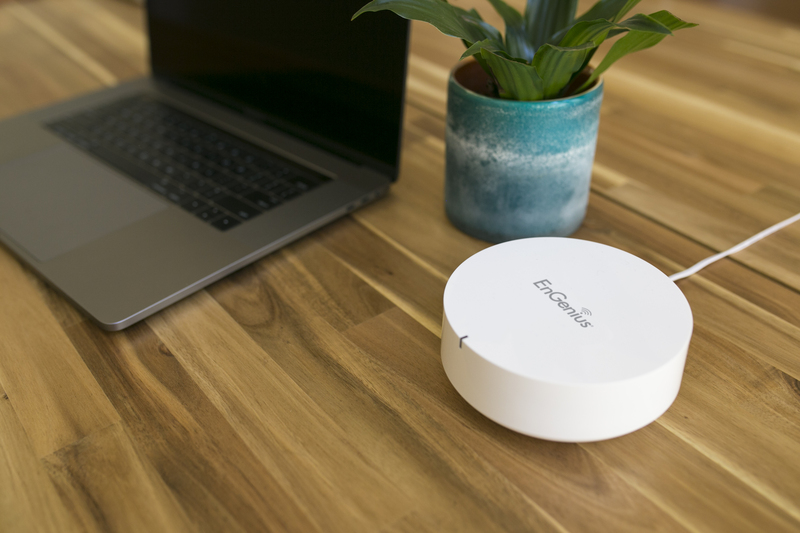 The EnMesh Whole-Home WiFi system is engineered to perform using best-in-class business grade wireless technology adapter specifically for your home. 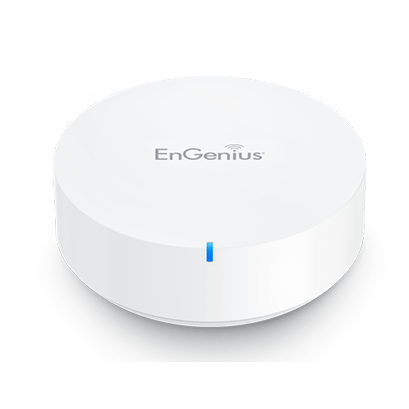 The built-in EnGenius EnMesh™ wireless link technology enables multiple EMR3000 mesh routers to connect together to extend Wi-Fi coverage throughout your home and/or office (outdoors, indoors, on the balcony in the backyard–simultaneously all at the same time). 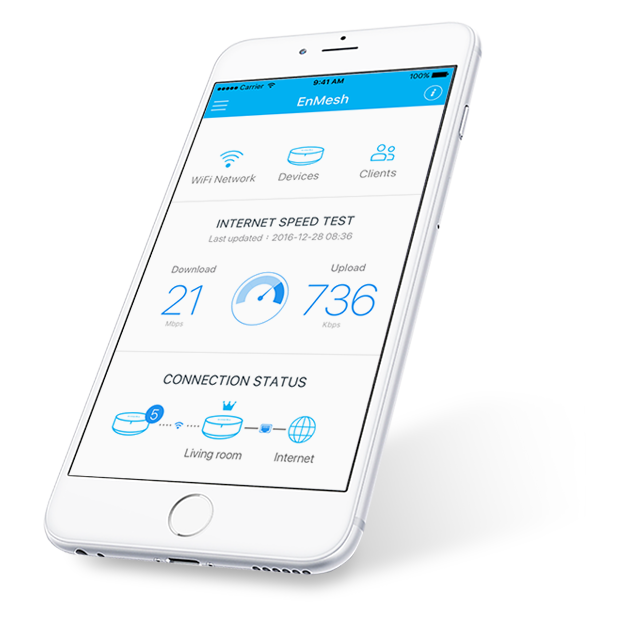 You have total control and easy access to the Wi-Fi mesh network system via the EnMesh™ mobile App! The EnMesh™ Whole-Home Wi-Fi System blankets your entire home or small office in reliable, high-speed wall-to-wall wireless. 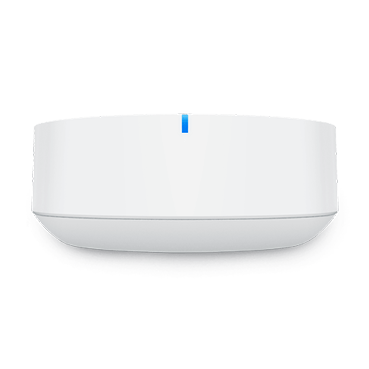 This simple-to-use system gives you total control over your network in a sleek, stylish design that ensures complete whole-house coverage, eliminating dead spots and buffer lag with True Mesh Link technology. Do you struggle with endless buffering, dead spots or weak signals throughout your home or small office? Eliminate your Wi-Fi woes by placing mesh router pods around your home, wherever you want, to create a single, whole-home mesh network. Get connected and stay connected. EnMesh system’s True Mesh Link technology uses smart sensors that automatically detect and adjust your connection quality while it blankets your home in reliable wireless for full coverage in every corner. No running wires. No software to setup. With just a few simple steps you’ll be up and running. Simply plug a mesh router pod into your existing modem, download the EnMesh Mobile App and follow the quick step-by-step setup guide. Place router pods anywhere you need coverage, and let Smart Link automatically connect them for you. The same EnMesh app that makes installing your Whole-Home Wi-Fi system easy also makes monitoring and controlling your new EnMesh network just as simple. Keep your devices secure, allow guest access, and manage family screen time. Step3: Power on other devices to join and done! Having no Wi-Fi signal is a pain, especially in your own home. Mesh Wi-Fi networking aims to bring an end to this problem and the EnGenius EMR3000 offers good performance for larger homes.